A walk through Opatija wouldn't be complete without stopping by the town's sculptures. Let them tell you their stories and reveal to your some interesting facts. We present to you the famous statues of Opatija. Above the town's famous Slatina Beach, right on the Lungomare coastal promenade, you'll find a statue of Miroslav Krleža, the most significant Croatian writer and intellectual of the 20th century. A few steps further in the small harbour known locally as portić, there is the sculpture of Opatija's boatman, the barkajol. He's always at the service of his passengers, his boat is neat and tidy, and he's always ready for a boat tour of the Opatija Riviera. In front of the Remisens Premium Villa Amalia, you'll see a statue of a dancer on the move, the famous Isadora Duncan. She loved Opatija and used to stay in this villa. The fluttering of Opatija's palms inspired her dance movements. The statue of the violinist Jan Kubelik is located in front of the Villa Angiolina. He used to find inspiration for his work while enjoying Opatija's sun and sea. The town's most recognisable symbol is the famous Girl with the Seagull. There is probably no tourist or passer-by who hasn't taken a picture of this beautiful sculpture of a girl watching the blue Kvarner sea. 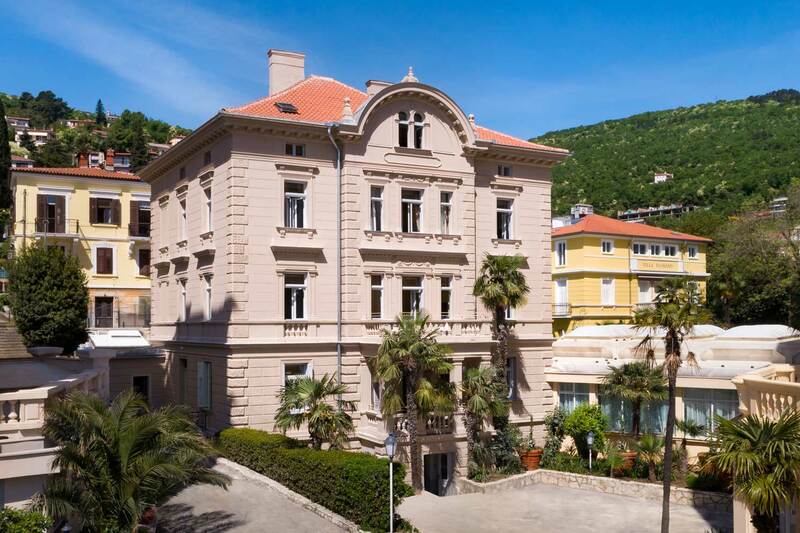 Book your stay in one of Opatija's hotels and start exploring the town.